Take a photo of a beer list at any restaurant or bar, and Picky Pint scans and shows beer ratings, gives recommendations, and lets you smartly pick your next drink. Don’t like bitter beers? Set your taste preferences and Picky Pint will highlight beers that you’ll love. Scan bar codes (with the Pro upgrade) and find the best beer at your local store. Navigate the world of craft beer with confidence. Who is Picky Pint product aimed at? 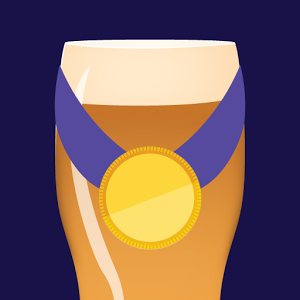 Craft beer fans, especially those newer to the scene will love the app. Anyone who is interested in trying something more interesting than a Bud or Miller, but is overwhelmed with all the choices available can get acquainted with some of the amazing craft beers out there with this app. This is also good for the experienced beer person that might overlook amazing beers on a long menu. Why did you build the app? There are way too many craft beers to get familiar with even a small portion of them. Menus at restaurants are very long, and to find anything new you’re more likely than not to pick one at random. If you’re not into hoppy beers, you could very easily accidentally pick something you’d consider undrinkable and waste $8. Picky Pint lets you quickly know all you need to know to smartly pick a beer you’ll love in whatever restaurant you’re in. There’s a wine app (WineGlass) that does the same thing but for wine. That was and still is fantastically popular. Plenty of beer apps exist that give you ratings, but nothing else will give you the results as fast as you can get. Every other app would make you type in a beer name, and with craft beer lists as long as they are, you’d be typing for a long time. Much easier to take a photo and get all the info you need in seconds. I don’t like bitter beers, but am interested in trying new ones out. Several of my friends are really into the craft beer scene, but would recommend beers that I wouldn’t like. I tried typing them in by hand and got to the third beer before a waiter came around and took drink orders. I tried looking around for an app that could solve this problem, and found nothing, so we decided to make Picky Pint. Trevor and Mike are college friends, software engineers, and beer fans. Mike is a mobile app developer with 5 years experience in a software consultancy making iOS apps. Trevor is an Android guy with years of experience developing B2B applications, and a serious craft beer aficionado. The team is located in the Minneapolis suburbs. Get the word out, get more feedback, and keep iterating on the app. Integrate with other beer apps out there, and make the craft beer world a friendlier place for newcomers. Get a Spanish and German version of the app out.